Home BaseballSt. 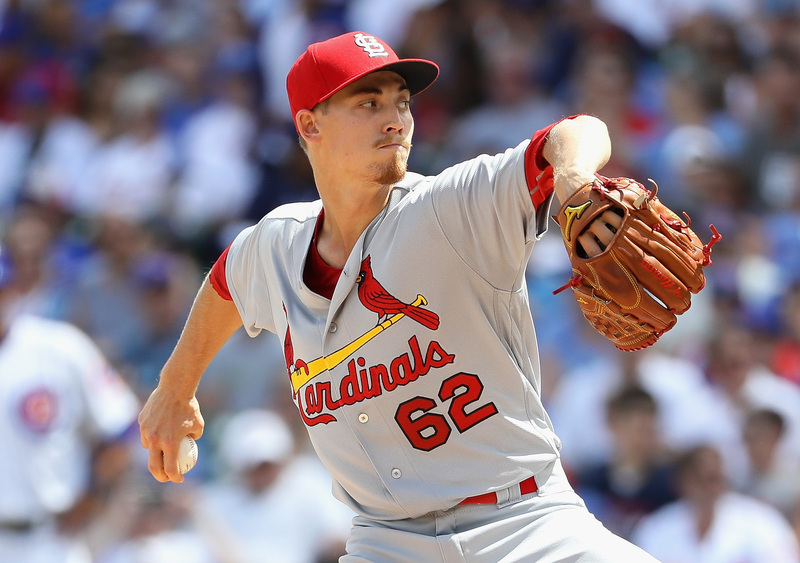 Louis Cardinals	Is it time to rethink Weaver? After another poor performance Tuesday night, fans are becoming concerned with Weaver in the rotation. There’s no doubt the Cardinals are deep when it comes to starting pitching. Fans have already got a taste of what right-hander Jack Flaherty can bring to the table. Austin Gomber, another minor league prospect, made a case for himself on Monday when he struck-out 16 batters in Memphis (AAA). In addition to Flaherty and Gomber, Alex Reyes is on-schedule to be activated from the DL on May 28th. So–what does this mean for Weaver? For one, he had better leave his last two starts in the past. Forget the 10 earned runs over 8 2/3 innings pitched and move on. Weaver’s next scheduled start is Sunday at Pittsburgh; against a team beginning to struggle after starting off hot. In 2017, he faced the Pirates twice–one relief appearance and one start. Combined, the 24-year-old righty did not give up an extra base hit or any runs. If Weaver can keep that trend going and regain his confidence, then he will likely earn more leniency if he struggles from time to time. However, if his struggles linger at the major league level, then Weaver may find his way back to Memphis. Minor league tune-ups aren’t the worst thing for young starting pitchers. In the end, it could actually benefit him down the road. In the event he is sent down, a handful of options are available in the minors. Fan-favorite, Jack Flaherty, would likely switch places with Weaver first. He has shown both life and movement on his pitches; along with going after hitters. Unlike Flaherty, left-hander Austin Gomber has yet to reach the majors; which makes him an intriguing player to watch for. By far the most exciting prospect in the Cardinals’ organization, Alex Reyes, could work his way into Weaver’s spot if he is not ready. All-in-all, Weaver’s next 2 or 3 starts will determine whether the club should send him down or not. I personally am excited about his future in St. Louis. Although, I would understand if he needs a couple minor league stints as he continues to grow. Flaherty and Gomber aren’t doing Weaver any favors either. The two prospects are knocking on the Cardinals’ door, ready for some big league experience. Either way, the Cardinals are in a good place with lots of options for the rotation. Have another opinion? Feel free to share it either on the St. Louis Cardinals forums page or you can find me on Twitter @BallparkBeef.